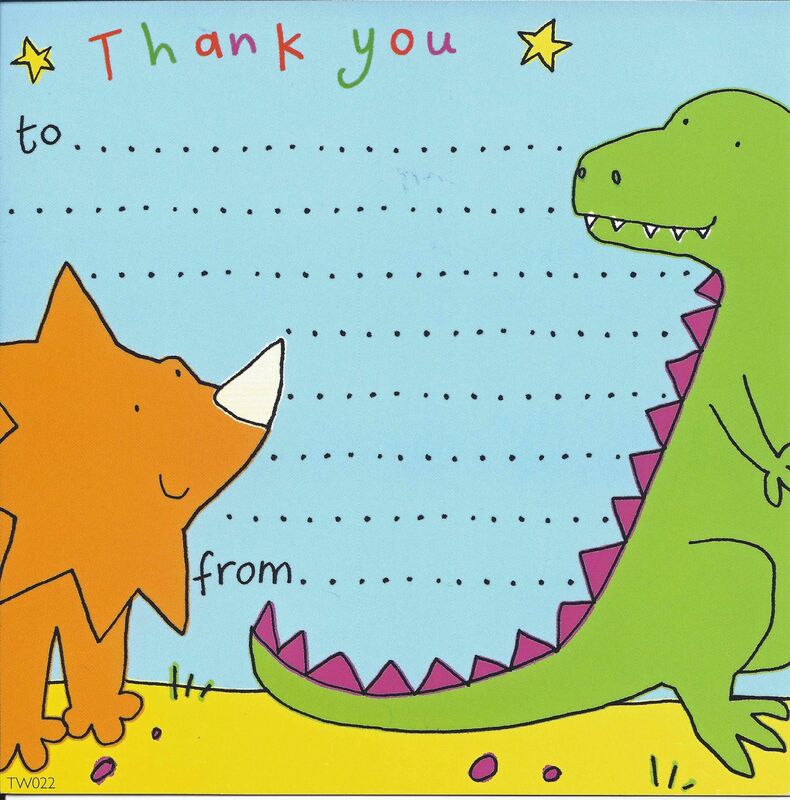 Saying thank you just became easier with our dinosaur thank you cards. 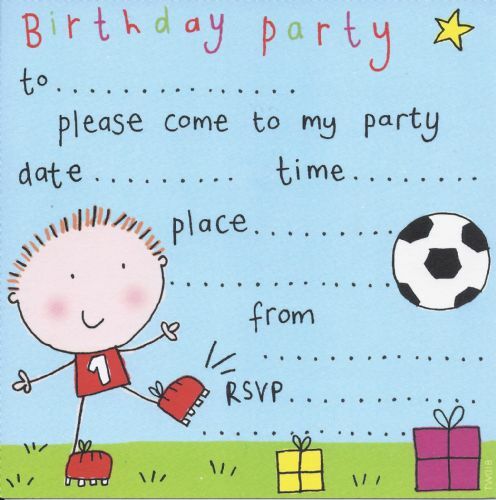 Just enough room for any child to say how pleased they were with their special gift - mums and dads will be happy too - no longer a chore. 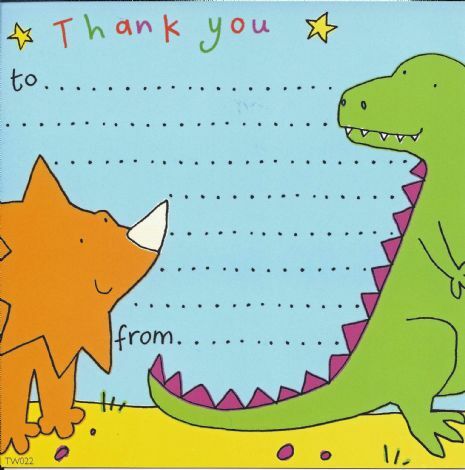 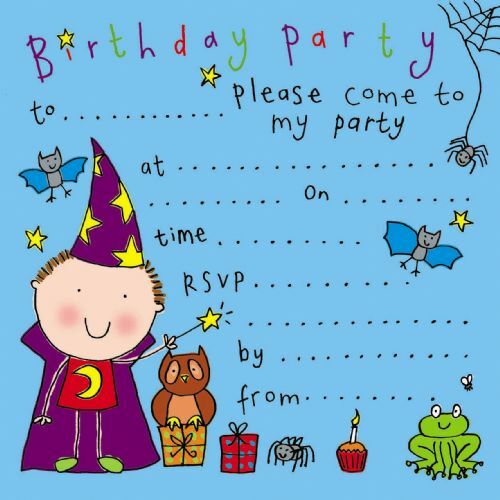 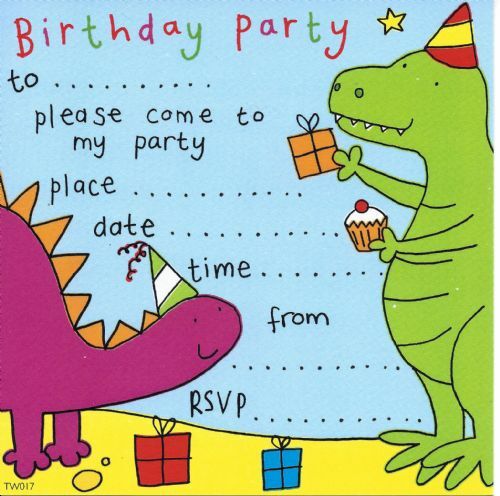 These thank you notes can be used with our dinosaur party invitations.